We'll be adding regular updates on feel routes to the Mountain Run blog to give you fresh idea's to keep you on your toes! Times have been busy at Mountain Run, race planning & house renovating, running has been pushed to the side slightly. Thankfully we live in the Lake District & the fells are never far away. Here's a few new routes we've been out on recently, so we thought we'd share them with you to keep your running fresh & new and keep you on your toes! 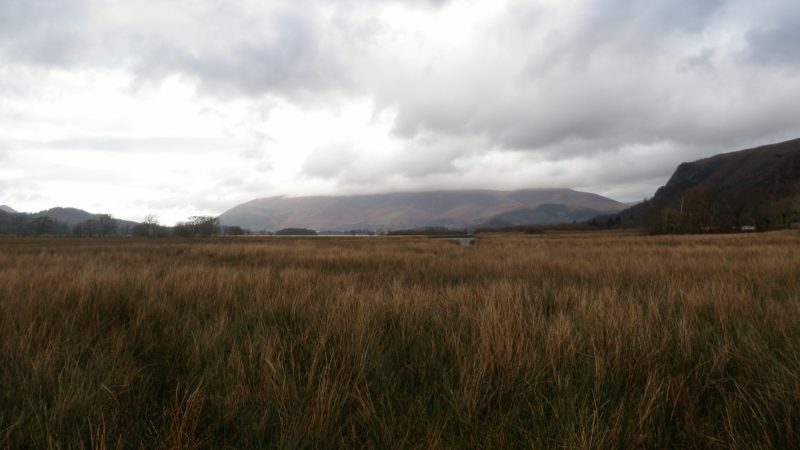 Its a regular feature we'll be blogging about so you get new ideas of where to go for fantastic fell runs in the Lakes. Sheffield Pike sits just above the new Mountain Run base camp up the Glenridding Valley, its what we're renovating at the moment. Its a great place to train from. We've started the route from Glenridding Village, as its not 'PC' to park up the track next to the YHA. Of course, we just headed out of the door after a hard days building labour, lucky us! Route: Head up the mettled road from Glenridding to the Helvellyn YHA & to the track that takes you up the zig zags to Sticks Pass. On reaching the first plateau look for the foot bridge that takes you over Swart Beck and head north up onto the shoulder between Greenside & Sheffield Pike. When the col is reached make a sharp turn east to head up onto the summit of Sheffield Pike. 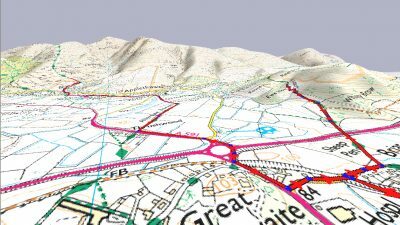 There is no path marked on the OS maps, so take note - Can you navigate? If not book on a Navigation Course with us. The summit is gained by a section of boggy short ascents, this will really test the strength in your legs. From the summit follow the rightward path which drops you down to the 3 tarns shown on the map (GR: NY 372 178). From here the path (very steep & very technical, take care here!) takes you close to the southerly edge of Heron Pike & down to a high walled enclosure before Glenridding Dodd in whats called The Rake. Follow round the enclosure & descend to your right down the steep & technical track to the miners cottages on the mettled road you ran up initially. Run a couple of hundred meters & take the left track/road & follow the footpaths back into Glenridding Village. Thirsty? Get a pint in the Travellers Rest, best pub in Glenridding! Birkhouse Moor is another fell right on our doorstep. Its pretty over looked in the Helvellyn Massif, but it makes a great continuation to Striding Edge. For our round we've started it again in Glenridding Village, where you can get kit at CatsyCam Outdoor's (not specifically a running store, but might have some bits you might have forgotten) & food from Shamans, the local convenience store. Park in the main parking area next to the Tourist Information Centre. Route: Follow the road past Sharmans & CatstyCam Outdoors to access the path running underneath the north basin of Birkhouse Moor. This is a god track & will get you nicely warmed up for the ascent to Red Tarn. At the end of this track follow the main track/path to Red Tarn, its steep in places, but runnable all the way. This is either a good thing or not, depending on how your legs feel! On reaching Red Tarn turn right over the beck flowing out of the tarn & then take the track, which is almost flat, to the col between Striding Edge & Birkhouse Moor, more commonly know as the 'Hole in the Wall'. Stay on the westside of this wall & follow it along until a path breaks right and takes you an a fast & very technical descent into Little Cove. If your legs are feeling great then you can storm down into Glenridding for refreshments, if not, run on jelly legs until the Travellers Rest is reached & hang over the bar waiting to be refreshed! Its a great route & can be increased in distance in a number of places if the desire is so, of combined with the Sheffield Pike route above for a 'tour de force' of the Glenridding Valley.